You are here: Home / running / Show me the bling -2016! Show me the bling -2016! It’s hard to believe another year of racing and blogging is winding down. 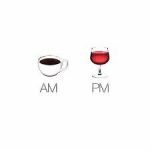 I keep thinking I’ll slow down on both, but somehow I keep on keeping on. 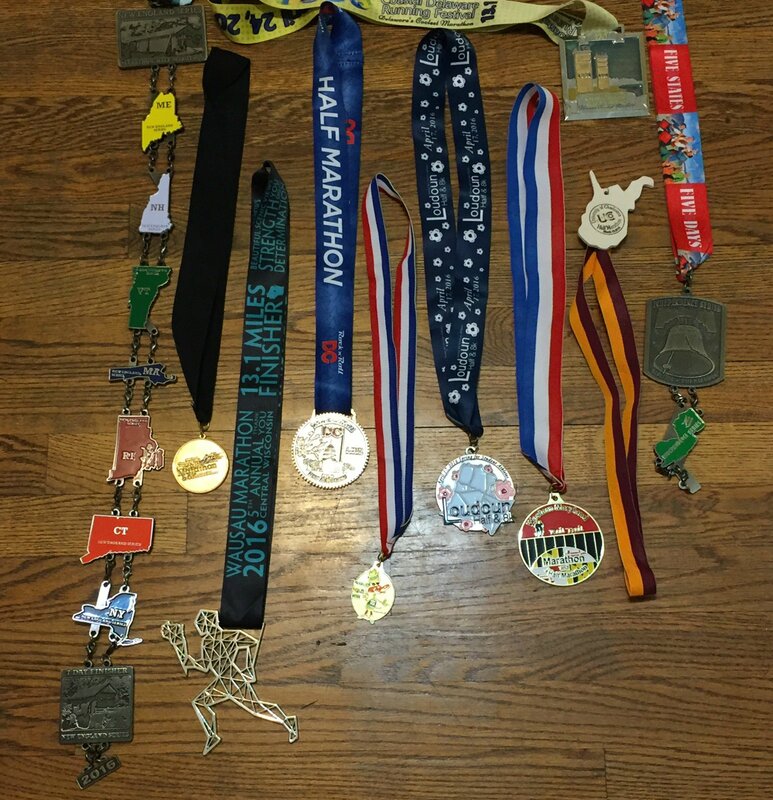 So, it shouldn’t come as a surprise that I finished 16 half marathons. 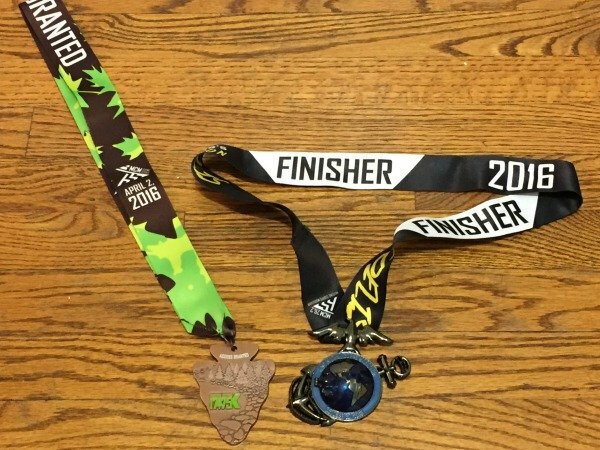 I also ran 1 Ragnar Relay, a 17.75K, a 10k, a 5 miler, and a marathon. 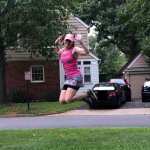 I’d like to say I won’t be running as many races next year, but “Hi, my name is Erika, and I have a racing problem.” I will say that there will be more short races, but I’ll talk about that in another post. 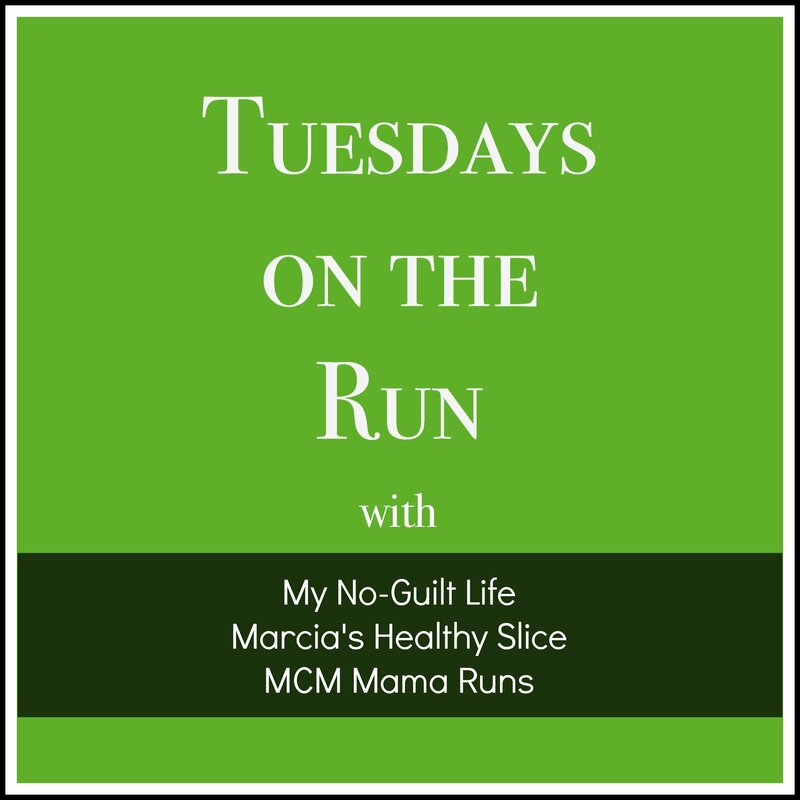 Today on Tuesdays on the Run, Patty, Marcia, and I are discussing bling. At the end of 2015, I decided that I wanted to hit Mercury in Half Fanatics. It’s the second highest level and I was already part way to 23 half marathons in 23 states in 365 days, thanks to 7 half marathons in different states in the latter part of the year. Even with that 7 and a 7 state Mainly marathon series, this was not an easy challenge. It involved a couple of long drives to run and then turn right back around and a couple of Saturday/Sunday races. It was a lot of fun and I loved hitting my goal, but it was also exhausting and expensive and time consuming. 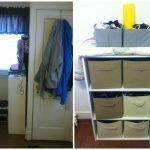 I won’t be attempting anything similar for a good long while! But I didn’t just want to run half marathons this year. In fact, I somehow got the crazy idea to not only run the Marine Corps 17.75, but to actually use the golden ticket to run the Marine Corps Marathon again. Yeah, I know. 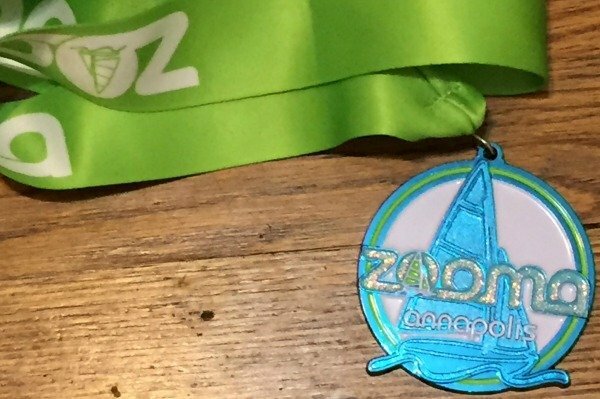 In addition to that, I ran my usual favorite ZOOMA Annapolis, but chose the shorter 10K option this year. It was fun to finish so quickly and actually still have energy left. 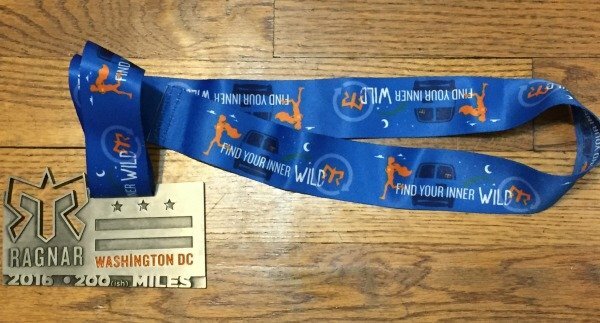 And then there was Ragnar DC. I LOVE Ragnar and I’ve had 3 amazing teams. I don’t know why running crazy mileage on no sleep is so much fun, but really it is. Yeah I say I’m going to cutback too. Not sure when/if that’ll ever happen at this point. You had a great year, lots to be proud of ! 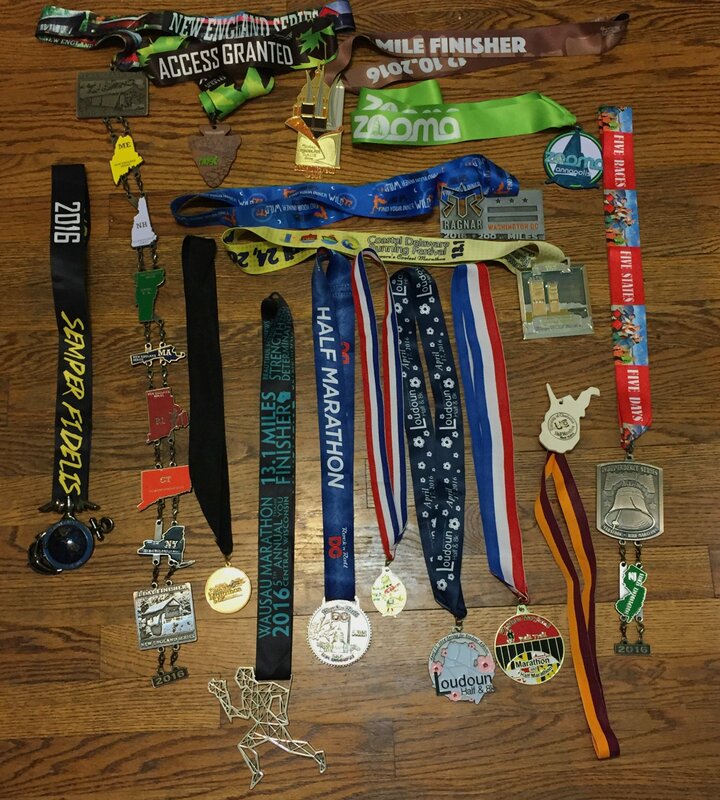 I only ran 6 races but 2 marathons, so I am darn happy with 2016. You must need some strong hardware to hold up all your bling! You amaze me. What a great year you’ve had! Ha! I like your 2017 goal. Sounds achievable to me. Congrats on a steller 2016! Congrats on all your bling. Your Wasusau Medal is pretty unique. Wow!! What an impressive year! Like you, I keep thinking I’m going to slow down on blogging and racing… both apparently both are too addicting! what a great year you have had !! Look at all that bling!!! 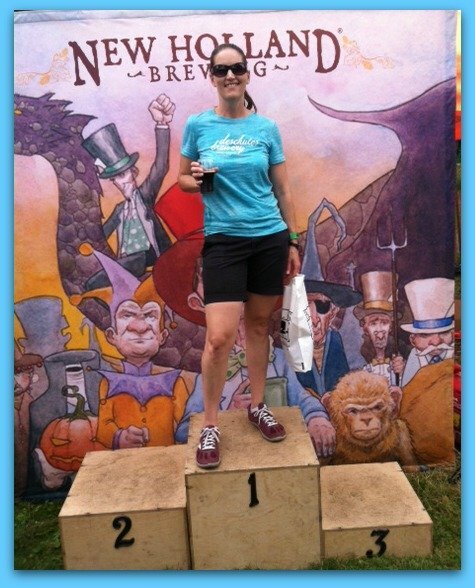 I so loved Ragnar…I may have to consider it for 2017….it was so much fun!!! That’s a pretty good haul. I hope 2017 is just as fun! 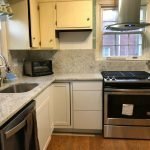 Lesley recently posted…We Made It! Congrats on all of your races and all of the bling! I’m so looking forward to my first Ragnar race in June, it’s been on my bucket list for so long! Looking forward to hearing what’s next for you! 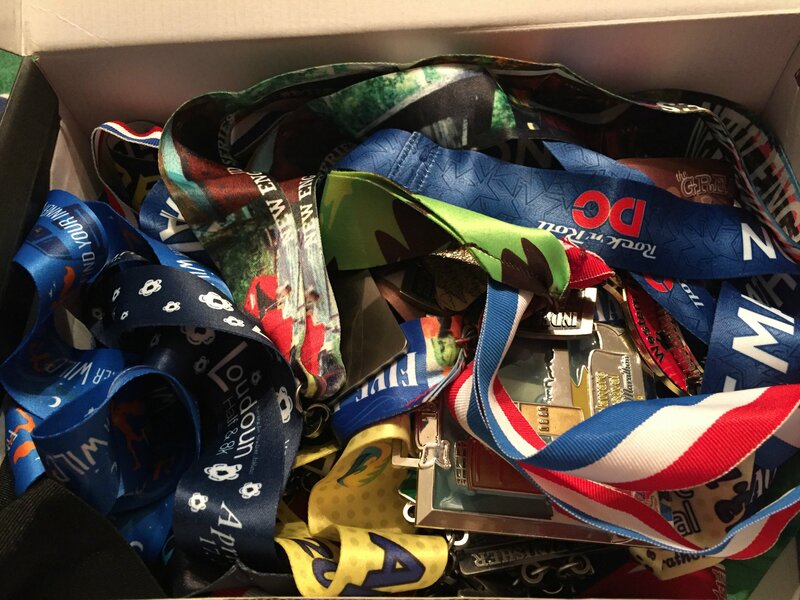 I have medals in a pile that need to be hung as well. 🙂 Maybe I’ll get that done before the end of 2016! Jessica S recently posted…Weekly Wrap-Up: Three Weeks to Go! You ran so many races this year! And it looks like you earned some great medals along the way. Glad you had a great year! Definitely get those medals up – they are too pretty to be sitting in a box! I love that you do so many races! I’m also a race addict. 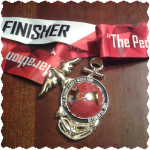 I don’t think I would run as much as I do without earning all the bling! Congrats on your awesome year of running and beautiful bling! I did cringe a little from them being in a shoebox. 😉 Best of luck for a great 2017! That’s some very impressive bling! Ragnar sounds amazing. 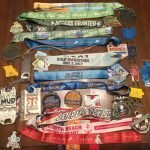 I want to hit Mars in Half Fanatics this year by running 3 races in 10 days in 3 different states (which seems easier than the other options). I thought I could do that one without traveling very far, but it is proving to be difficult.